This special portable receiver PKI 2245 enables the radio detection of any PKI transmitter and is indispensable for every monitoring operation. Moreover, it is perfectly suitable for the detection of all types of radio interferences. The frequency scan function is specifically meant to monitor radio services working with a fixed channel spacing. Emergency signals can also be located using the audio function. And the specific possibility to locate remote detonation devices via the oscillator radiation of a remote detonation device set to receive mode renders this PKI device interesting, too. Digital signal processing using the latest technology allows for highly sensitive reception and detection of extremely weak signal levels. 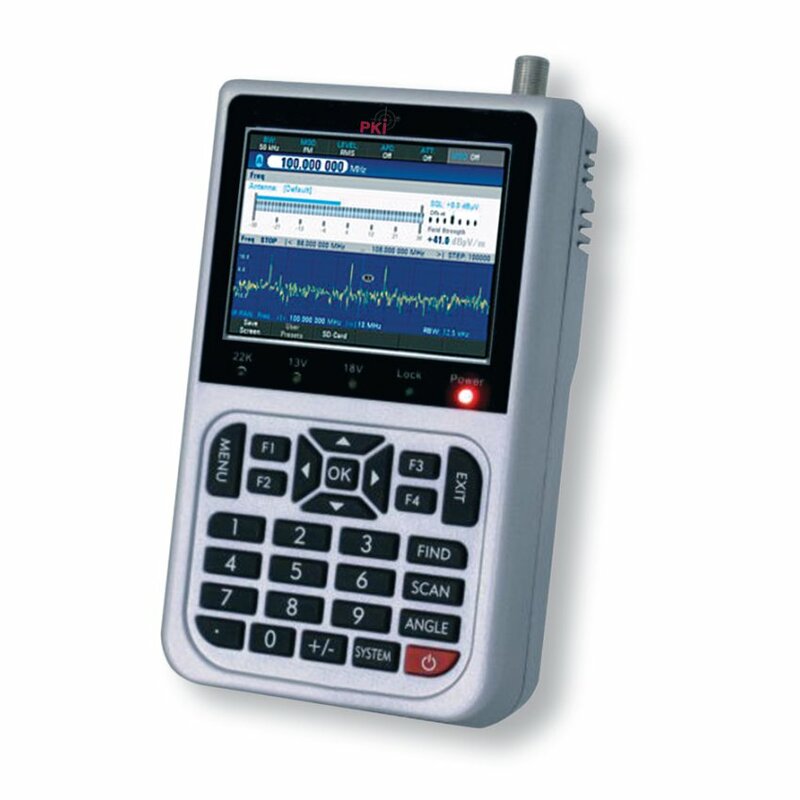 The PKI 2245 is delivered with four plug-in modules to adapt the antenna to the respective frequency range. Miscellaneous: For frequencies above 7.5 GHz, the operating range can be expanded up to 18 GHz with the frequency-converting, portable directional antenna.